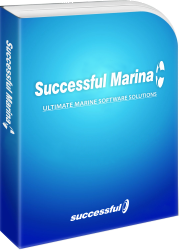 Successful Marina: comprehensive Management Solution for Marinas, Boatyards, Drystacks, Boat Repair Centers, Marine Stores and Yacht Clubs. The Successful Marina Management System (ERP/CRM), developed by Successful Software, is a 360 degree business management solution. It provides a comprehensive, turn key, software solution, essential for streamlining processes, increase efficiency, improve customer satisfaction and profitability. Modules include: cloud (or on site implementation), single marina (or multiple marinas), boatyard, drystack, marine store, yacht club, boat repair center, boat rental (charter), CRM, EpoS, integrated accounting, Smartphone / Tablet Smart App, reporting, statistics and dashboards, GDPR compliance, AI assistant. Integrates with existing hardware and software systems. For the management of a Marina, or multiple Marinas simultaneously. full service (marina & shipyard) marine sites. For the management of a shipyard and dry stack (dry storage facility). Manage your Boat Repair Centers from estimation to invoice. (boat convenience store), boat fuel station, diving shop, bar, restaurant or retail store. Need expert advice or help? Contact us now via Skype or phone/email for a free business needs analysis of your business! Learn more by selecting one of the "Read more..." links above to go directly to the section you are interested in, or click on "Next" (see bottom of this page) to view one by one all the info sections.